Landmark Legal Professionals is a legal staffing agency dedicated to providing law firms and corporations with the most highly qualified candidates and exceptional service. 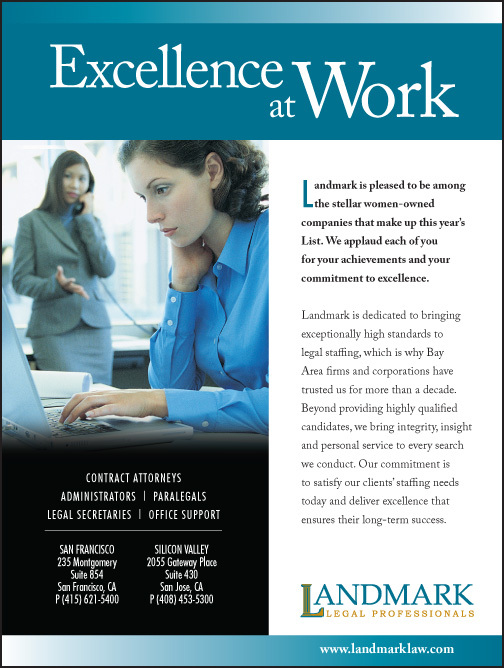 Although Landmark Legal Professionals is no longer in business, e design was honored to assist them with their marketing for several years. We created a multitude of ads that were placed in many legal publications that showcased their services. We were also responsible for the design of announcements, presentation folders, the company’s website and more.